In a statement issued on Monday by his Media Aide, Lere Olayinka, the former governor, who is also the Southwest Coordinator of the Peoples Democratic Party (PDP) Presidential Campaign Council said Nigerians had already seen through the deceit of the All Progressives Congress (APC) led federal government and will respond appropriately with their votes in 2019. 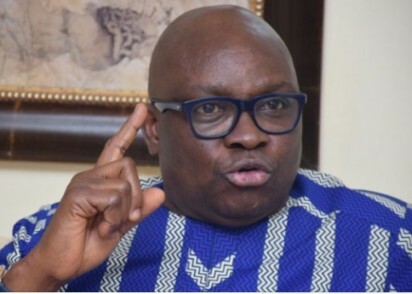 Fayose said it was even funny that the same President Muhammadu Buhari who insisted that the late Gen. Sani Abacha never stole was the one taking pride in his government use of a phony TraderMoni scheme to reloot the $322 million recovered from the loot Abacha stashed in Switzerland. He said: “If not that TraderMoni was to reloot the recovered Abacha loot, the proper way was for beneficiaries to be captured biometrically and the N10,000 paid into their bank accounts instead of the Vice President going to the market to share cash.